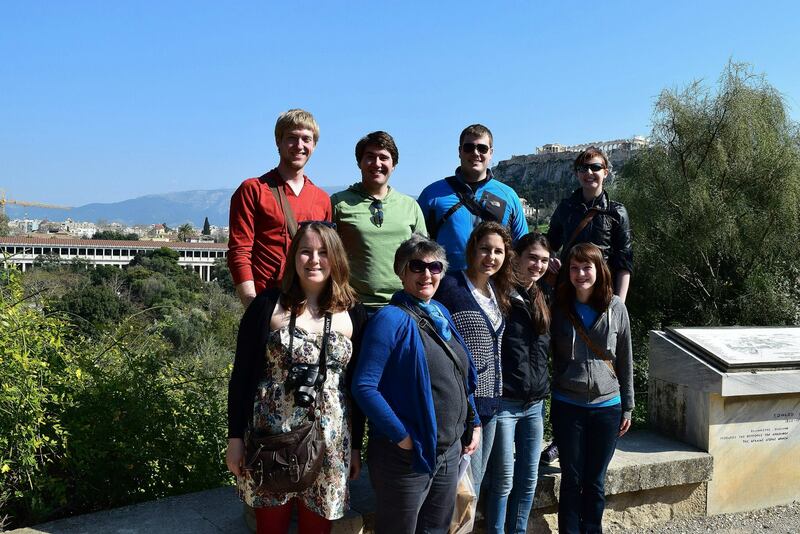 Through one very intensive week in Greece, students will become acquainted with the birthplace of Western Civilization: its landscape, monuments, and other material traces. 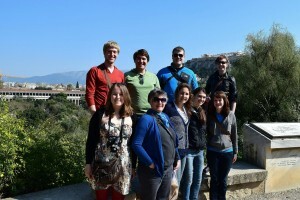 With field trips to Delphi, Mycenae, Epidaurus, and Sounion, they will also encounter Modern Greece, of course, and receive some instruction in modern Greek, but the overwhelming emphasis lies on Classical Athens, the historical-cultural setting for the emergence of Western moral philosophy. Our focus is on the figure of Socrates and the agenda of moral philosophy that the Athenian sage established. Via the Socratic method, students will study Aristotle’s Ethics and test the applicability of that foundational text to their own lives. 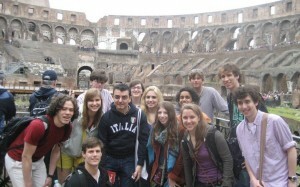 Class will convene 8 times prior to travel and 2-3 times after our return. For more information and to sign up, please contact Professor Rachel Sternberg by email, rachel.sternberg@case.edu. This course offers the opportunity to examine firsthand ancient Roman remains spanning nearly 1000 years of the city’s history. For three weeks in May we will explore all sections of Rome and discover how different spheres of Roman life, such as religion, politics, leisure, and death, combined to shape one of the most renowned cityscapes of the ancient Mediterranean world. The course constitutes a mix of museum and site visits to expose us to the artifacts that help us interpret the Roman world–including art and other types of material culture–and the monumental architecture dominating much of Rome to this day. We will also explore important sites outside of the city, including Rome’s remarkably well-preserved port, Ostia, and the Emperor Hadrian’s magnificent villa at Tivoli. Some of the questions we will be asking when visiting the sites include: How did the expansion of the Roman Empire influence the stylistic repertoires of the capital’s artists and architects? How did the changing political environment shape the topography of the city from Republic to Empire? How can we read political messages and propaganda in the ancient structures? How did (and does) Rome live among, use, and reuse ancient remains? Students will also be expected to live independently in the city, “as the Romans do.” We will walk and take public transportation every day, buy our food at neighborhood markets, and cook and eat together in a communal apartment. On most days our coursework will end around 5:00 pm, leaving evenings free for shopping, reading, or your own adventures in the city. Weekend, too, will be free for individual activities. These will be action-packed days, so energy and positive attitudes are essential. Your efforts will be rewarded with an extraordinary experience in one of the most vibrant and stimulating cities of Europe. For more information and to sign up, please contact Professor Dicus by email, kevin.dicus@case.edu. *Scholarships are available for majors and minors to study abroad. For more information on how to apply, please contact the professor of the course or Department Chair, Paul Iversen, paul.iversen@cwru.edu.